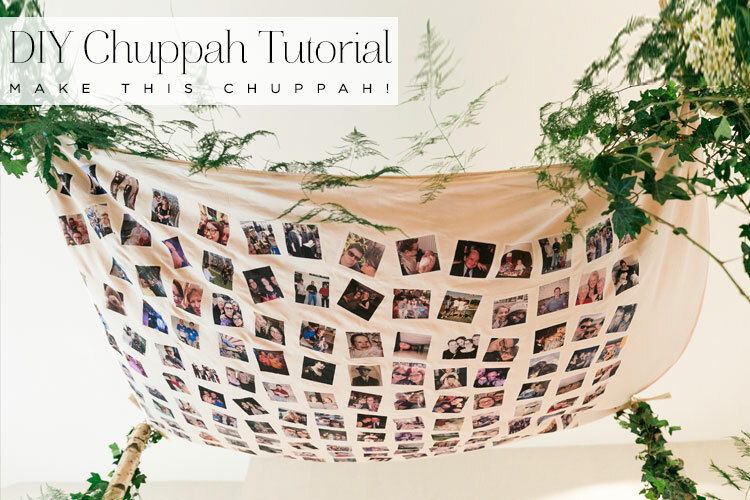 You all went crazy over on Instagram for real bride Lauren’s handmade chuppah in last week’s real Jew-ish wedding, so today she has kindly taken to the pages of Smashing The Glass with an easy-to-follow DIY tutorial on how to make one yourself. Please give Lauren Beadle, the craft blogger, a warm welcome! I like to hand make things. 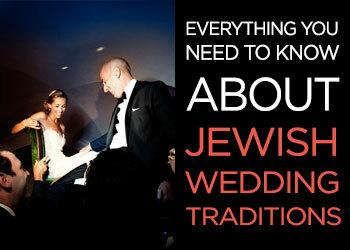 So as you can imagine, my Jew-ish wedding was awash with loads of hand made touches. I always make big plans to create all manner of complicated items for an event, but inevitably I will pare it back and choose a more simple design or technique. 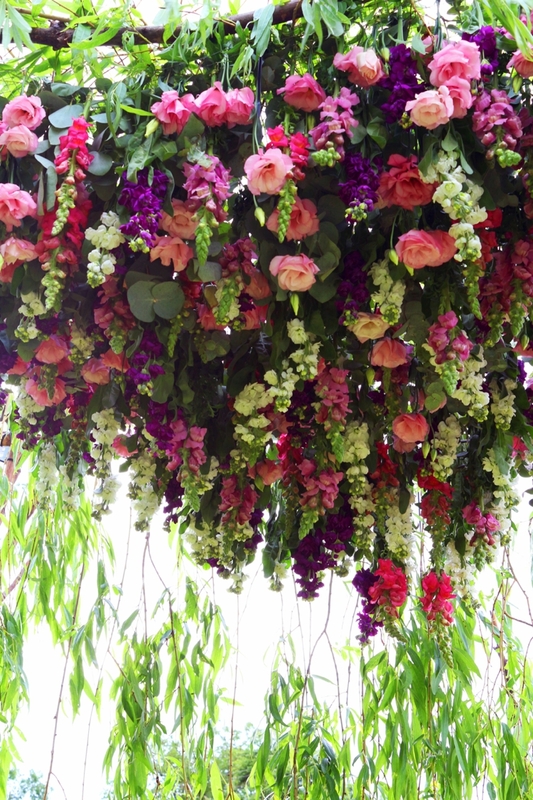 I definitely did this with a couple of ideas I had for the wedding. About a month before the wedding I realised I didn’t quite have enough time to make 140 candles and opted for a more crowd-pleasing miniature bottle of a favourite alcoholic drink, with a hand-lettered tag. 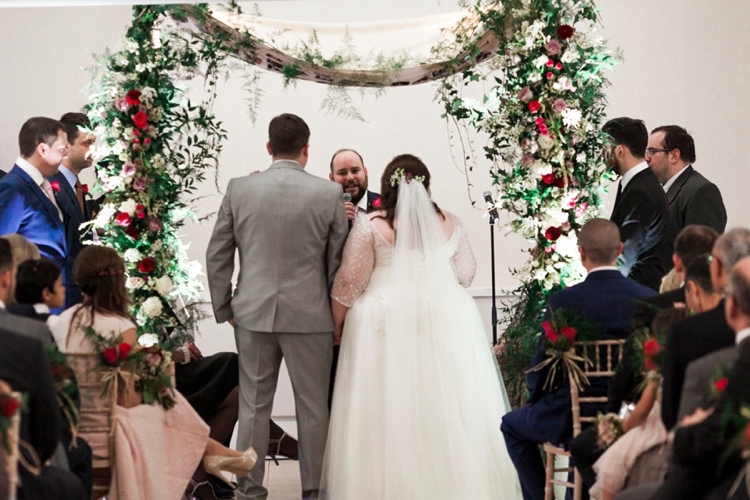 One element that I did actually plan well was our chuppah… I wanted it to it be personal, effective and simple to construct. 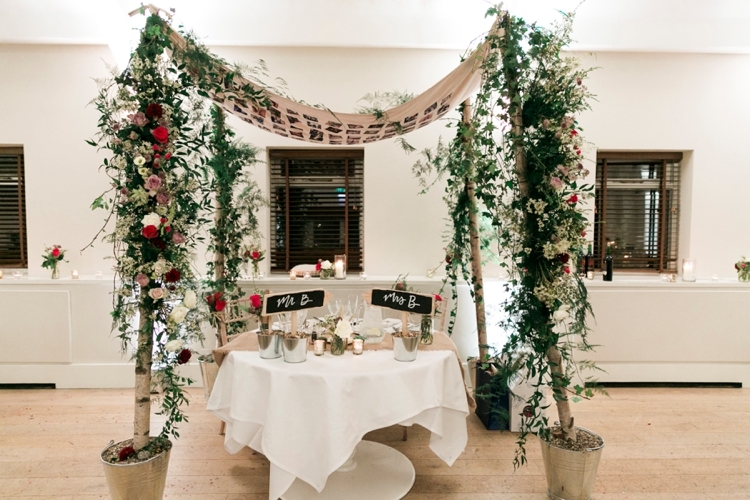 There are many ideas and opinions about the origins and meaning of ‘The Chuppah’ (some of which can be found here) but for me a chuppah is a physical representation of a bride and groom’s first home together, one that is supported and surrounded by family and friends from two different families and I feel that it should be something that is built together by the bride and groom as a symbol of that first home. 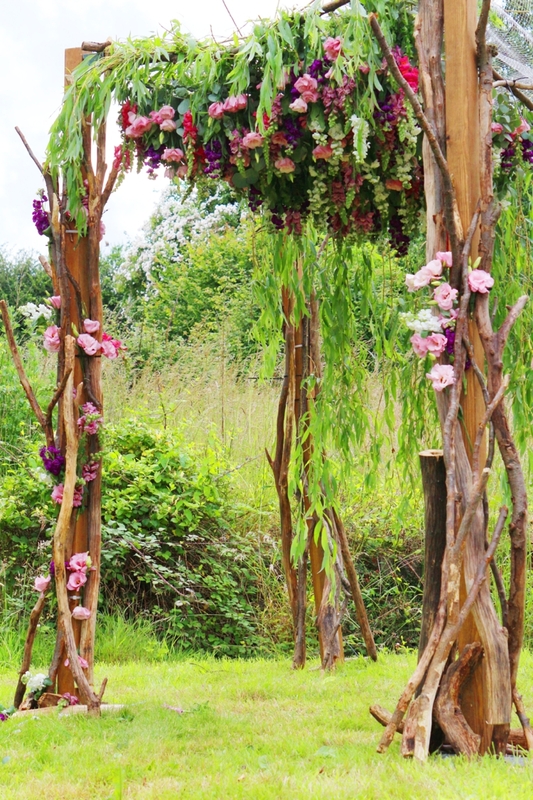 The chuppah that we created for our wedding was designed to represent this and to be constructed easily the night before the wedding or even on the day. If we can do it, then anyone can! 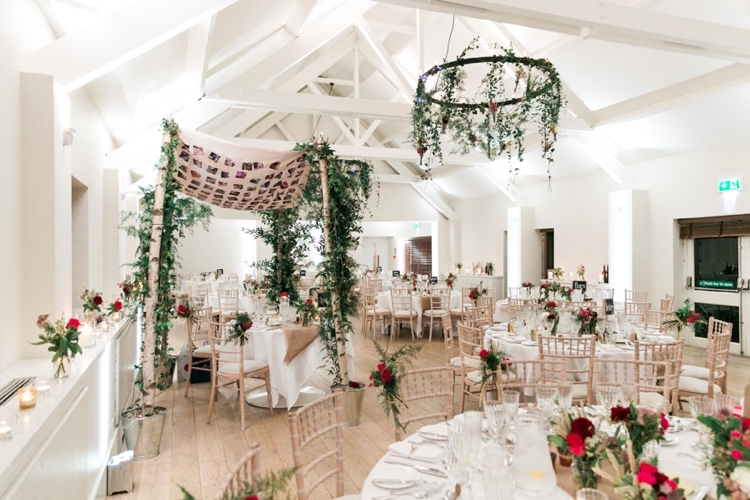 We were incredibly lucky to be able to get into our wedding venue and set up the night before. I had originally planned the chuppah structure to be set up on the day by the groom and/ or the groomsmen alone, so it needed to be relatively simple (I am a teeny weeny bit of a control freak when it comes to making things). In fact many of the construction ideas came from my husband, going slightly against the grain for me. We really wanted this to be something we built together and use our different skill set to do it. 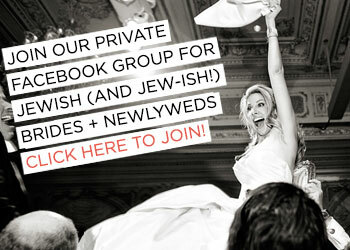 To make the chuppah you don’t really need any major technical skills. You do need some proficiency with an iron… hopefully you have that skill under your belt! It would be useful if you were able to use a sewing machine, but if you don’t mind a more rustic look, then you could easily get away with some raw edges on your canopy. 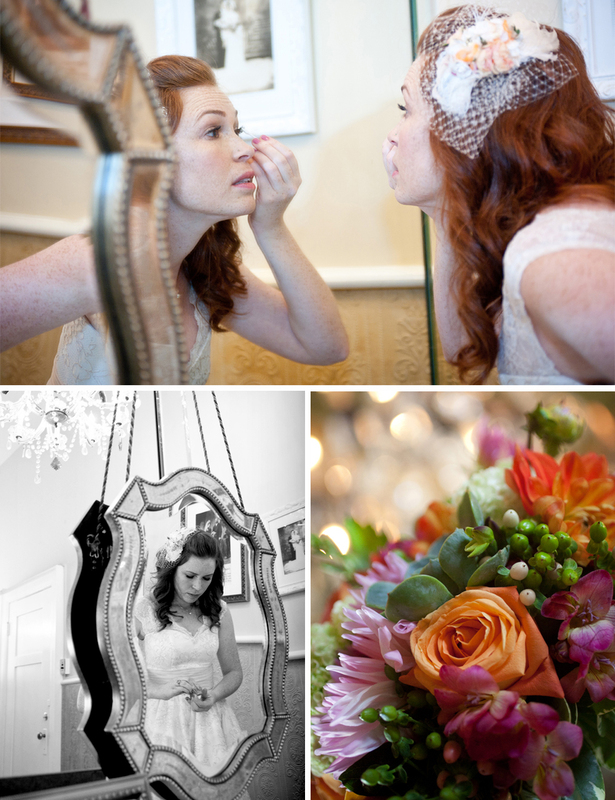 In fact any part of this ‘how-to’ can be adapted to suit your own skills or style. 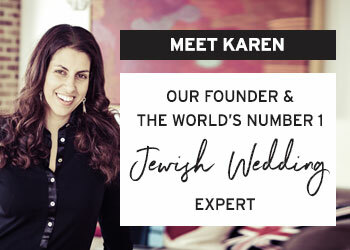 …And when it came to deciding how they would celebrate that eventual meeting under the chuppah, they knew they didn’t want a traditional wedding with bridal parties or first dance formalities. All they truly wanted was simply to marry one another with the people they love close by their sides. I love it when couples make their weddings a representation of who they are and feel free to remove anything that just doesn’t fit them, and Lauren & Aaron’s Big Day is exactly that — a wedding that reflects who they are and what they wanted, which was a truly intimate outdoor ceremony on the water, followed by a small ‘dinner party style’ reception at a local restaurant. From the farmhouse they rented in Southern Maine that housed their closest friends for a week,to the intimate ceremony on a peninsula jutting out into the foggy Atlantic, and the cosy dinner in downtown Portland, Maine where they could turn in their chairs to talk to anyone in attendance, their entire wedding was an intimate, homely, warm affair. And since their wedding was held in a public park (Kettle Cove), they knew that they needed a simple chuppah that they could transport, put up, and take down easily. 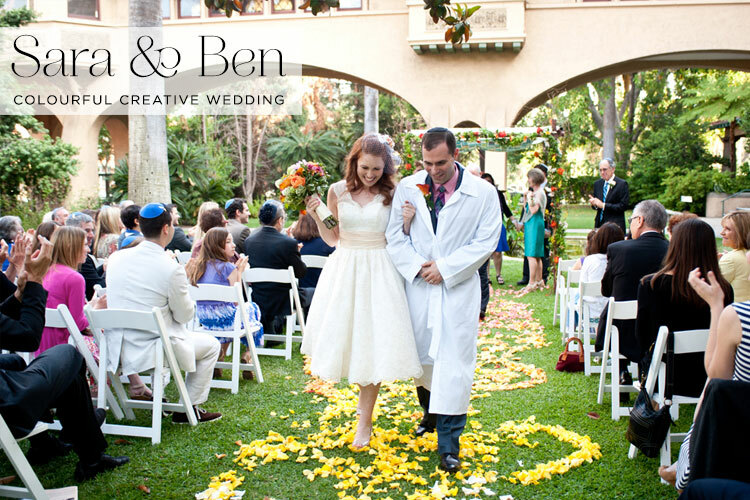 They ended up purchasing four tall birch branches and using Aaron’s tallit for the top of the chuppah. 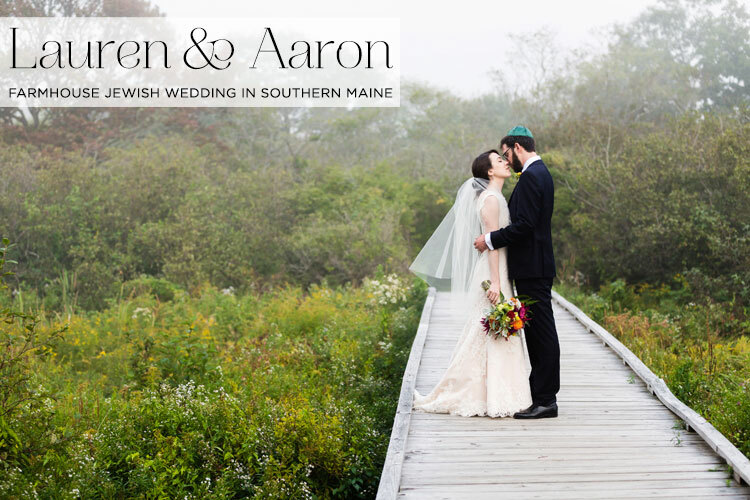 Aaron is great at engineering solutions and mechanical design, so he created a tension-free system using twine, the tallit, and four small hooks in each of the birch branches to create the chuppah of their dreams. Who said Jewish boys are no good at DIY?! 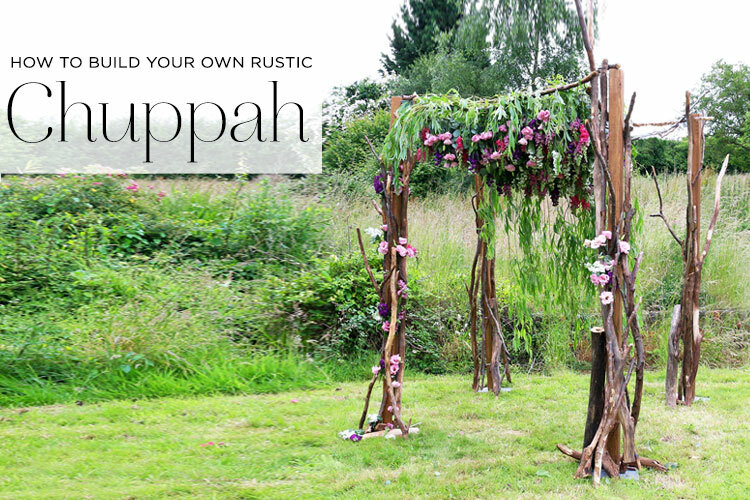 (Oh, and if you want to build your own chuppah for your wedding, there’s a lovely tutorial on the blog, right over here). Lauren and Aaron joke that their wedding theme was a “wedding-themed dinner party.” They knew that they wanted to be able to spend quality time with their families and closest friends, and wanted their ceremony to incorporate the beauty and experience of the outdoors, with a cosy reception with great food where they could spend time appreciating their family and guests. All the pretty and emotion has been captured perfectly by Sarah V. Martinez. Enjoy! John Lewis has always been close to my heart, in fact to most Brits it’s pretty much an institution upon which we’ve always relied on. From picking up my first pair of knitting needles for a school project, to getting those navy, leather Mary-Jane school shoes we all wore, and in more recent years bulk-buying cotton sleep suits for my own children, John Lewis has always been there for me. Apart from that familial reliability – and those heart-wrenching Christmas ads – the other major association most people make with John Lewis has to be the infamous you-can’t-go-wrong wedding gift list. And again, trusty JL was there for me at one of life’s most important milestones. 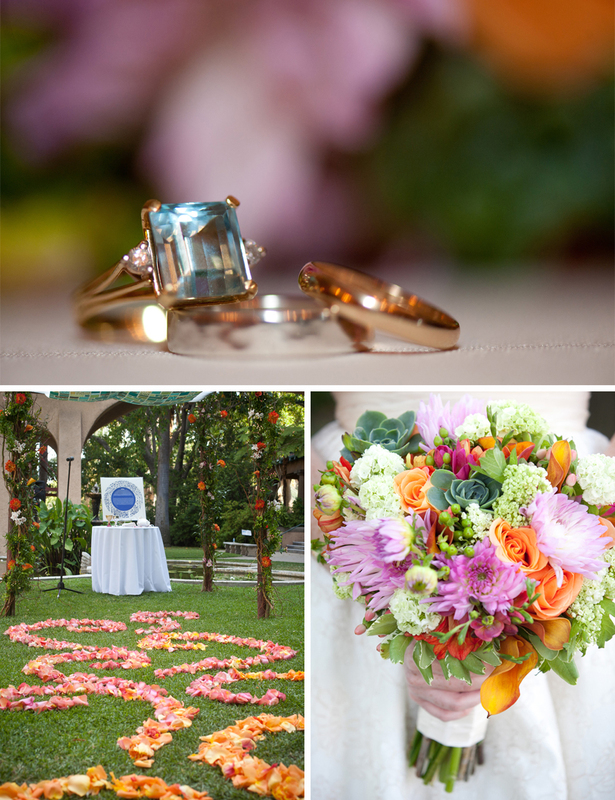 But what you may not realise is just how much “wedding” they actually have within those beautifully curated floors. 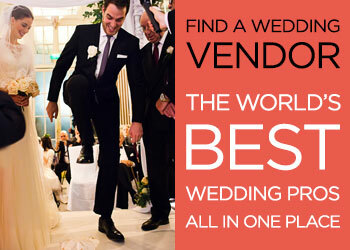 It really is a bridal cornucopia, an Aladdin’s cave. 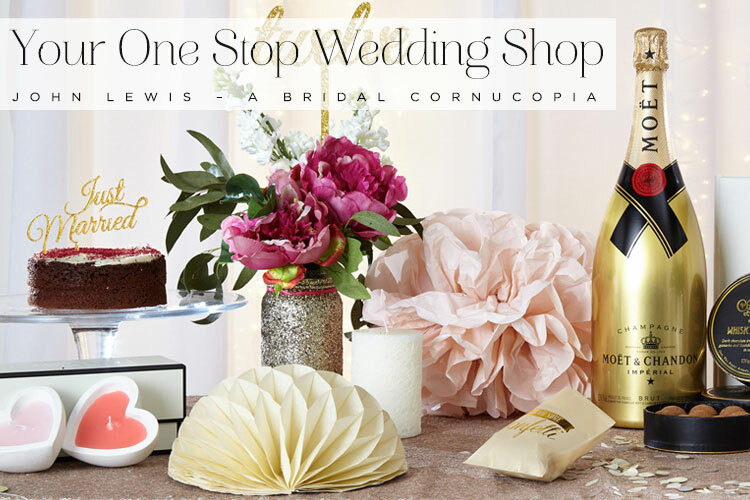 From occasion wear, gifts, stationery, haberdashery, decorations, fizz and make up, there’s no doubt about it — when it comes to weddings – John Lewis is ALL over it. And because it’s so trustworthy and established, it manages to keep everybody happy. 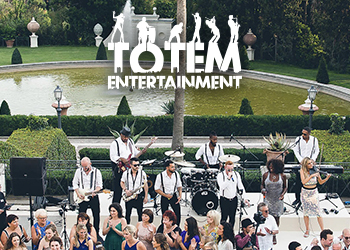 There’s something for every kind of couple, whether you’re seeking classical big day perfection or a quirkier, more offbeat feel. For me, where John Lewis really stands out is as THE home of haberdashery. And for those who think haberdashery is just a few different types of buttons, think again. John Lewis has an unmatched range of ribbons, silks, embroidery, braids, fabrics, zips and, yes, buttons. 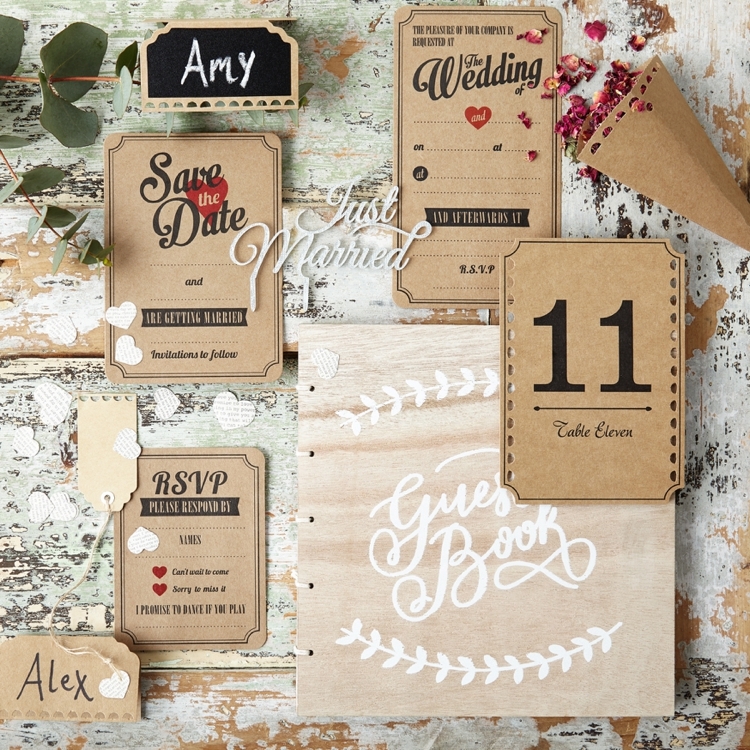 But also an incredible range of wedding craft and accessories — its the place where you can pick up the floral corsages, buntings and all the add-ons to bring your big day vision to life, no matter how creative. And they also have really cool decorative bits and pieces that can totally liven up your home long after your big day is over. How gorgeous is the East of India range? And take a look at these Rico Alphabet Decor letters — they’d be just as fab on a shelf in your hallway, as they would be placed next to a guest book at the wedding.